Listing courtesy of Coldwell Banker Whitney & Asso. One level, 1440 sf(m/l), 3 bedroom, 2 bath home with family room or possible 4th bedroom. User friendly kitchen. Forced air heat and cool with wood stove as back up. Fenced backyard, quiet neighborhood. Please, send me more information on this property: MLS# 19053860 – $129,000 – 415 E College St, Athena, OR 97813. 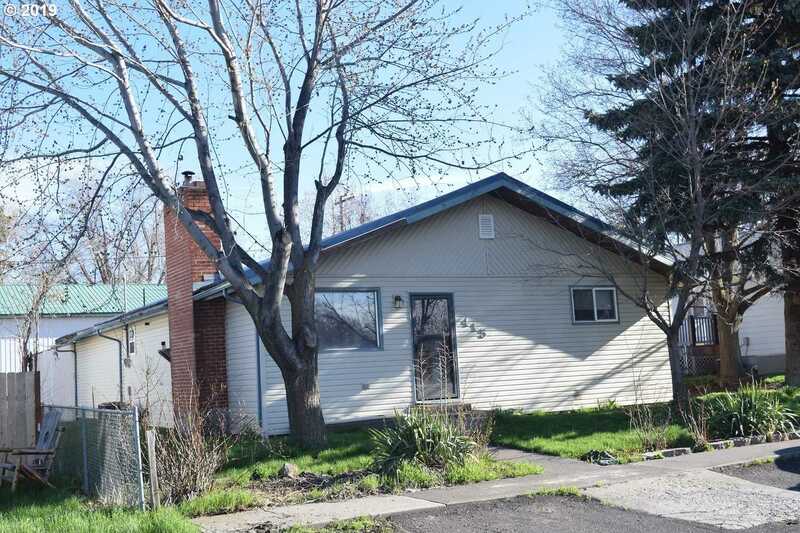 I would like to schedule a private showing for this property: MLS# 19053860 – $129,000 – 415 E College St, Athena, OR 97813. This content last updated on April 19, 2019 21:34. Some properties which appear for sale on this web site may subsequently have sold or may no longer be available. © 2019 Amy Savage — A Group Real Estate. OR DRE #n/a All Rights Reserved. Real Estate Website Design powered by Home Junction. The content relating to real estate for sale on this web site comes in part from the IDX program of the RMLS of Portland, Oregon. Real estate listings held by brokerage firms other than A Group Real Estate are marked with the RMLS logo, and detailed information about these properties includes the names of the listing brokers. Listing content is copyright © 2019 RMLS, Portland, Oregon. This content last updated on April 19, 2019 20:34. Some properties which appear for sale on this web site may subsequently have sold or may no longer be available.